Muncie Power Products didn’t want to put just another 90V directional control valve into the market. 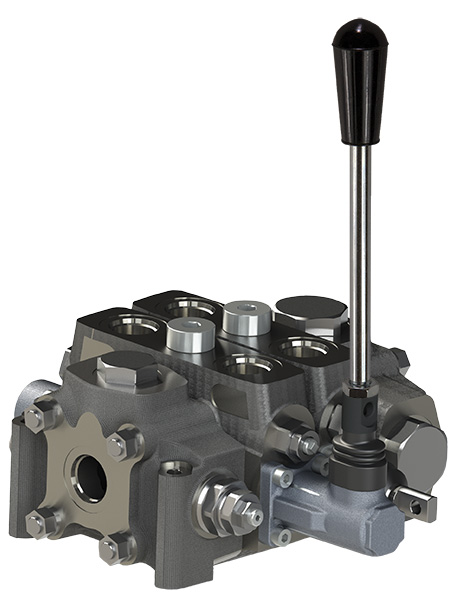 When developing its new V250 valve, the company strived to find a valve that would meet and surpass the 90V capabilities, according to Brad Smith, senior product engineering specialist. The recently released valve, with an exceptionally versatile design, has a number of features that will make it a leader in the market. Constructed with high-grade iron castings and nickel-plated or hard-chrome spools for use in high-pressure applications, the valve can be configured with a variety of spool, control and positioning options. “It will mainly be used for dump trailer applications and large motor drive systems,” Smith said. The construction materials resist wear, allowing for extended life under extreme conditions. The V250 is designed for flow rates up to 75 GPM (280 LPM) and offers superior performance in a compact package. The valve’s tight tolerances and precision machining will keep internal spool leakages low. 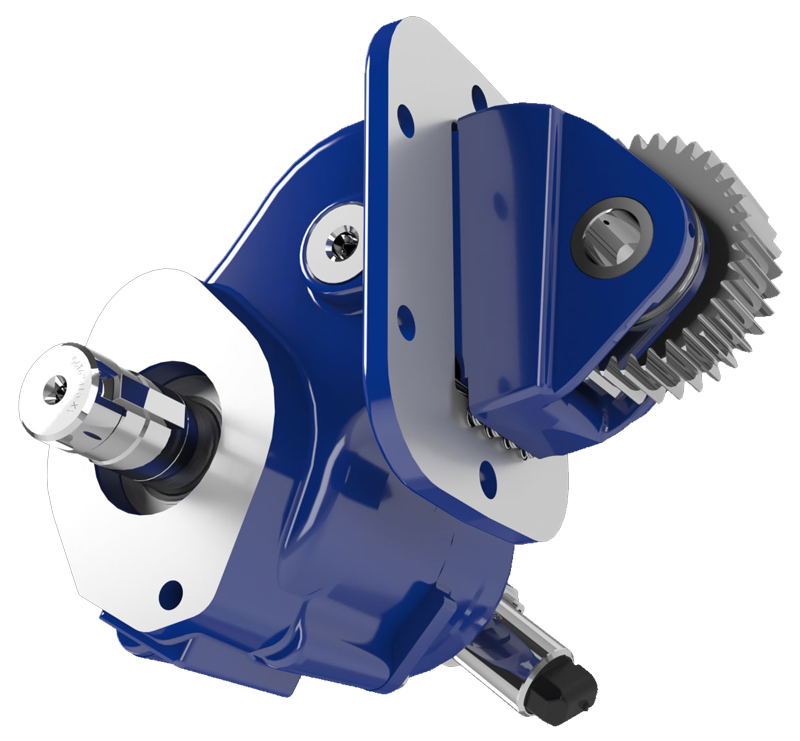 Its internal oil core design enables higher flow rates and low-pressure drops, and high-pressure carry over and closed center options are available. Load-checks are standard on all work sections. Work-port relief valves, anti-cavitation valves, combination relief/anti-cavitation valves and pilot-operated relief valves are available for individual work section protection needs. The product development took a number of shifting factors in the industry into consideration. “There are truck chassis technology changes happening all the time and EPA regulations have resulted in engine operation changes. All these changes affect how you have to interface with the truck chassis system to operate a hydraulic system,” Smith said. For Smith, keeping up with industry developments is a satisfying part of the job. After having been with the company for more than 30 years, his daily activities are rather diverse and he enjoys interacting on a number of different levels. “I assist with product development, research and prototype testing. I also help customers with troubleshooting and assist our sales and application people with some of the more difficult technical questions and applications,” he said. 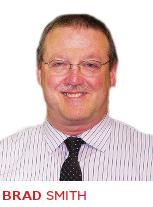 Brad Smith is a Senior Product Engineering Specialist. 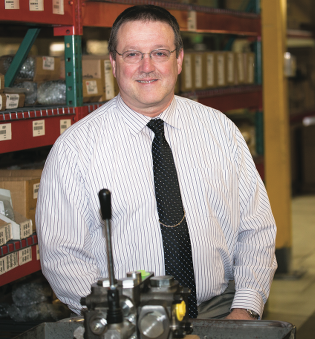 He holds an associate’s degree in mechanical engineering technology from Purdue University. His latest project has been the V250 Series Directional Control Valves. He has spent 34 years with the company, 14 in his current position. In his spare time, he enjoys small-engine repair and working on automobiles.